Today is the 467th death anniversary of Sri Guru Angad Dev Ji. He was the second guru of Sikhs. 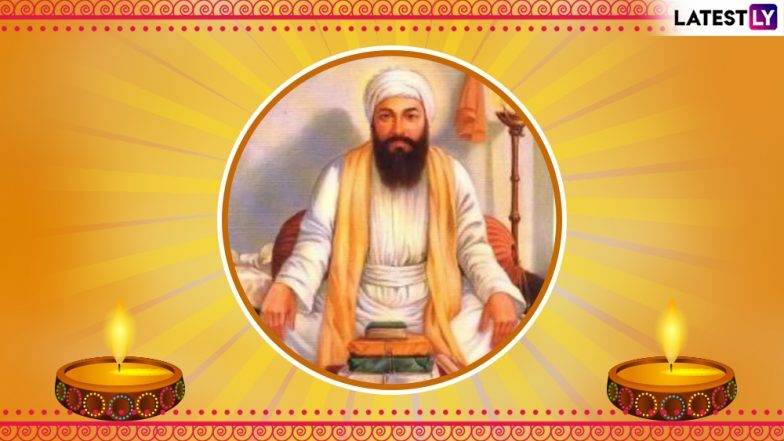 Guru Angad was born at Harike, Amritsar in the year 1504 to Bhai Pheru Mall Ji and Mata Sabhrai Ji. The second Sikh guru was born in a Hindu family with birth name Lehna. He had met Guru Nanak Dev Ji, the first guru of Sikhs only once and got influenced by his teachings following which he adopted Sikhism. Guru Nanak Jayanti 2018 Date: Rituals in Gurudwaras, Significance & How to Celebrate Birth Anniversary of First Sikh Guru on Gurpurab. Guru Nanak gave Bhai Lehna the name Angad and chose him as the second guru of Sikhs on June 13, 1539. His discipleship was subjected to various tests by Guru Nanak Dev Ji himself, after which he was chosen as the second guru. After the death of Guru Nanak on September 22, 1539, Guru Angad left Kartarpur for the village of Khadur Sahib. His succession to Guru Nanak Dev. Guru Angad invented the present form of the Gurmukhi script which became the medium of writing the Punjabi language. The hymns of the Gurus are expressed in Gurumukhi script. Apart from this, the second guru also contributed 63 Shabads and Saloks which are now registered in the Guru Granth Sahib. Guru Angad Dev believed in casteless society. He also preached that man and women were equal before God. The second guru welcomed women to the Sangat. Guru Gobind Singh Jayanti 2019: Date and Significance of Prakash Parv to Mark 352nd Birth Anniversary of Tenth Sikh Guru. He preached equality and also practised it. For this reason, Guru Angad started the institution of langar, a community kitchen where all sat together in a row, regardless of caste or status, and ate the same food. Langars were organised in all Sikh temple premises. His wife, Mata Khivi personally worked in the kitchen. Guru Angad also being a great patron of wrestling, started a Mall Akhara. It was a system where physical exercises, martial arts, and wrestling was taught. He founded many such Mall Akharas in many villages including a few in Khandur Sahib. Before his death, Sri Guru Angad Dev Ji nominated Guru Amar Das as his successor.